Stage A: Are You Riding with Both Hands? 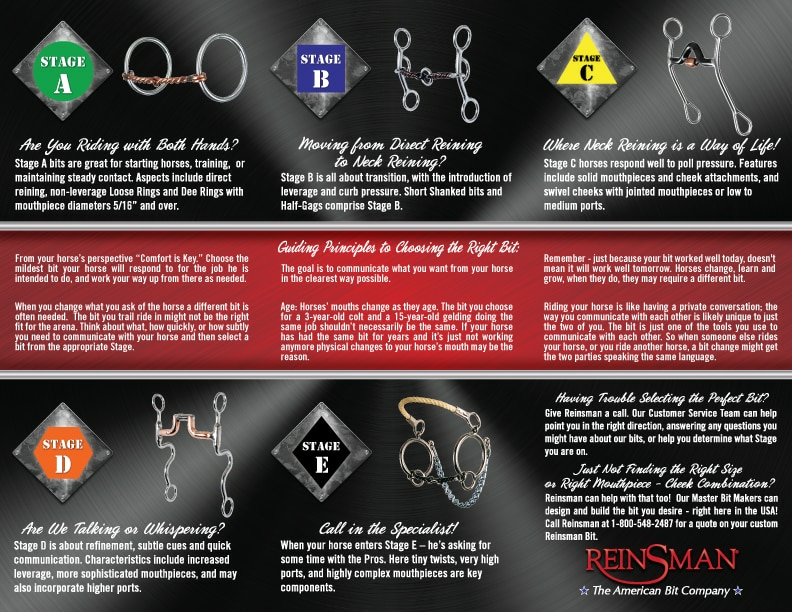 Stage A bits are great for starting horses, training, or maintaining steady contact. 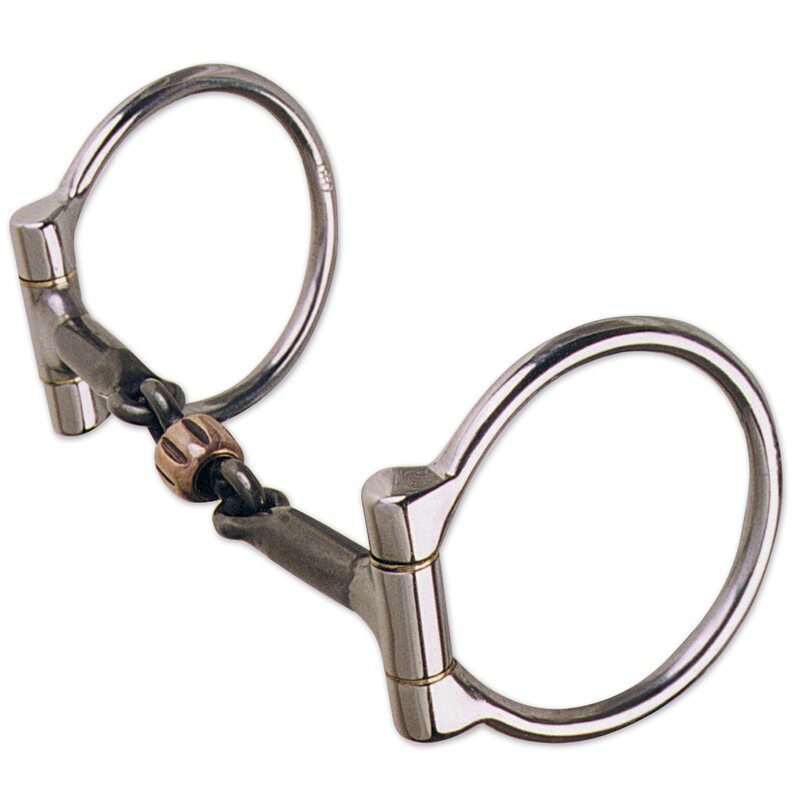 Aspects include direct reining, non-leverage loose rings and deeings with mouthpiece diameters 5/16” and over. Designed to apply pressure to lips on the opposite side of the face to help horse turn. Mouthpiece breaks over the bars at a different angle to contact new nerves and add some tongue pressure for better control. Copper roller adds that sweet & sour taste for better moisture and will act as a pacifier for many horses that like to chew on the bit. Reinsman Stage A Offset Dee Bit is rated 5.0 out of 5 by 1.